Be sure to take a Break! 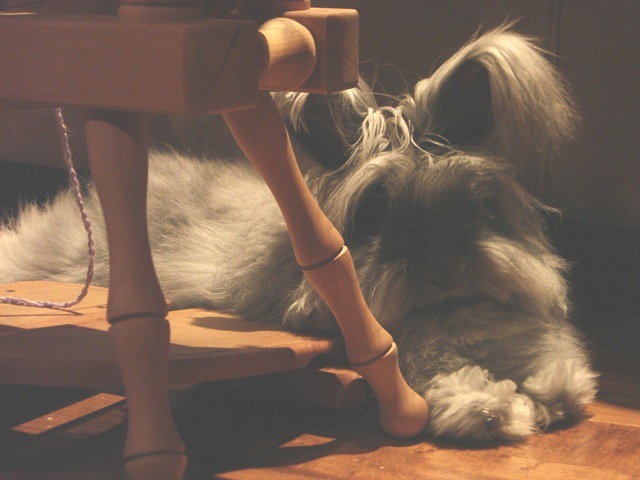 Ruttiger Rabbit felt the need to lay down and rest near my spinning wheel the other night... I'm not sure if it's because he's trying to tell me something in particular, but he cozied up right next to the treadles last night and had a nice little nap before doing the Bun-Bun 500 around the living room rug. Don't you just love the relaxed Pose? Nose wiggling, back feet splayed out, front legs relaxed, ears in neutral. He's a cute little fur-baby!